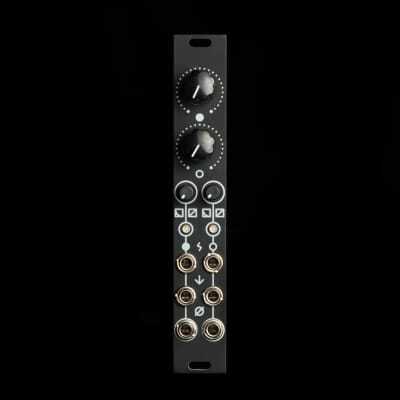 DVCA is a dual VCA based on the Mutable Instruments Veils. It features two separate voltage controlled amplifiers, both with a gain and a response curve potentiometer, that is variable from linear to exponential. The outputs are normaled, so when no patch cable is present on output 1, output 2 will contain both signals, allowing the module to be used as a mixer. Several DVCAs can be daisy-chained for voltage controlled mixer operation.